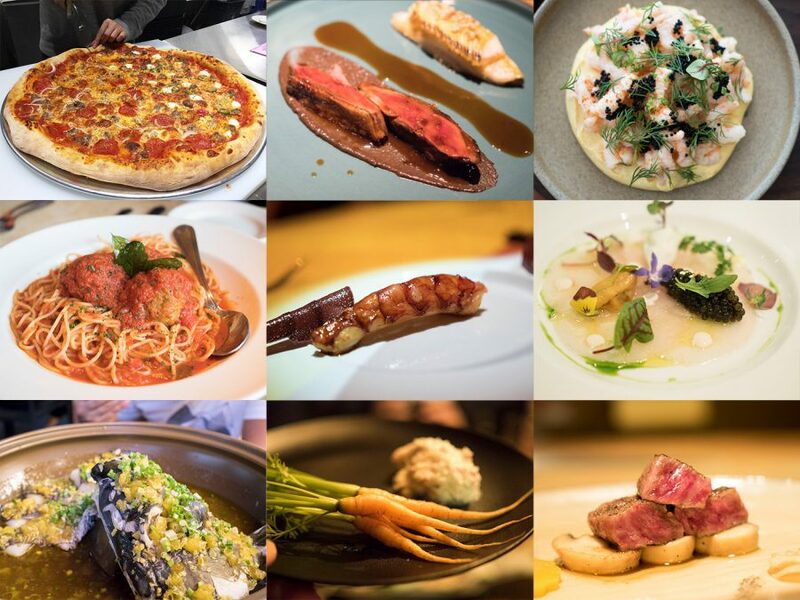 The Shanghai Scoop is a monthly column dedicated to the latest food and drink news happening in Shanghai. 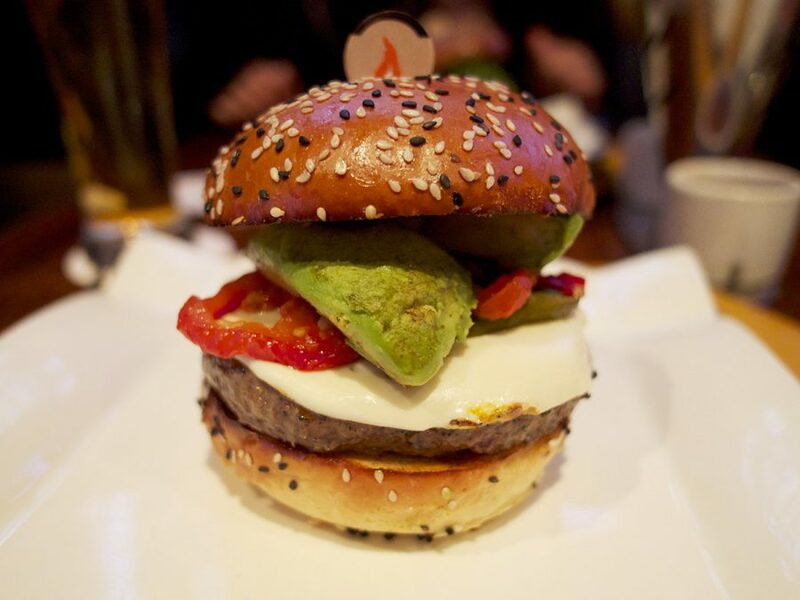 Here is a round-up of the newest restaurants and bars, hotel news, and upcoming projects. 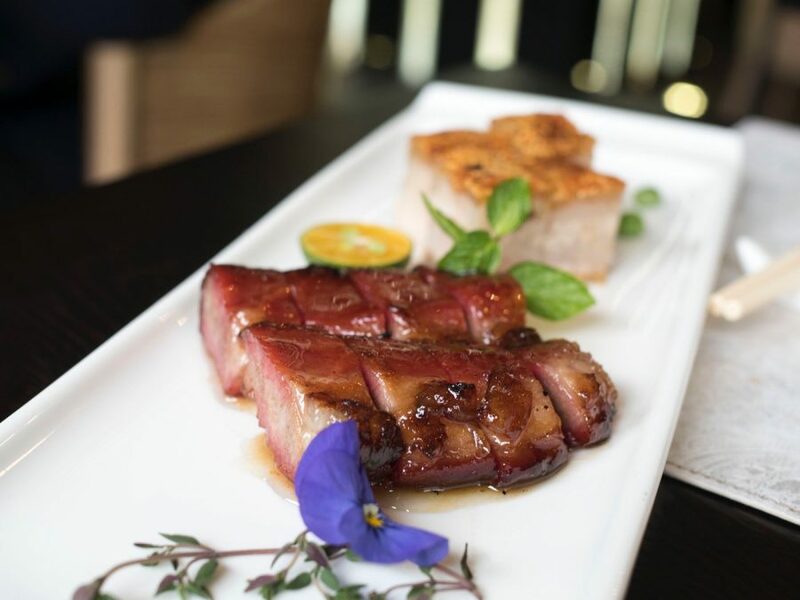 Taking over the former EKEKO space is Dao Jiang Hu, a contemporary Chinese restaurant by Singaporean restaurateur Betty Ng of modern Asian restaurant Ginger. (Boy, things do move fast in this city.) 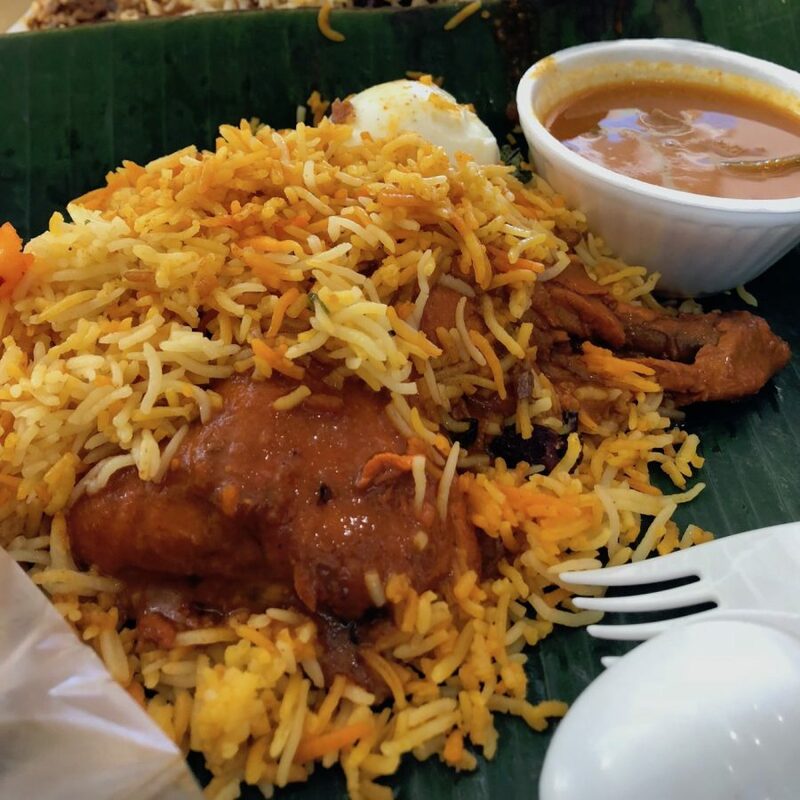 Betty draws inspiration from her travels, creating her own renditions of the meals she’s had along the way. 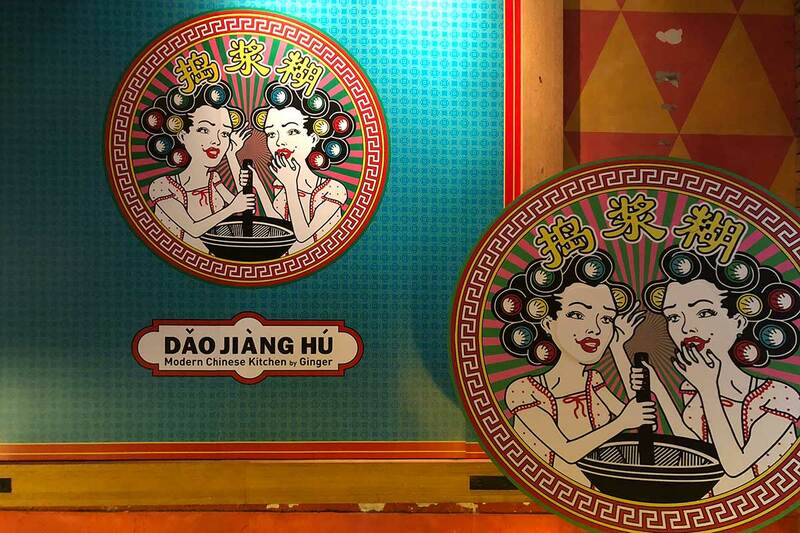 Dao Jiang Hu isn’t meant to be authentic Chinese cuisine. 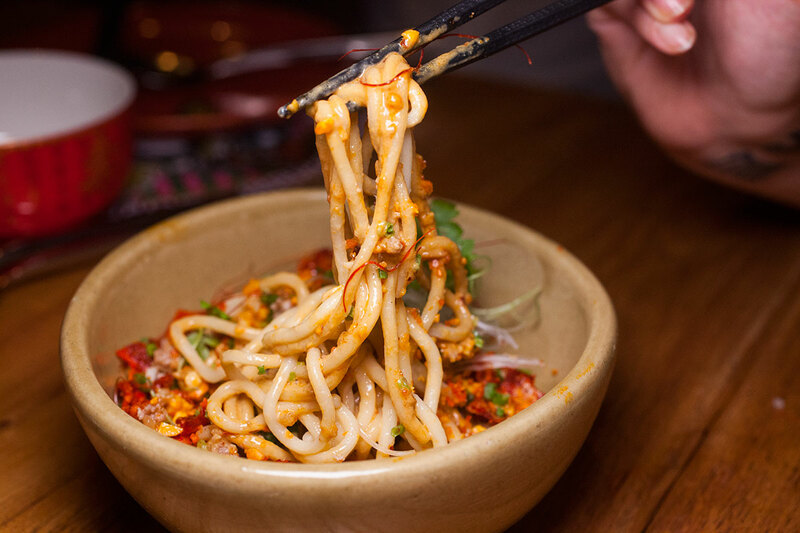 Highlights include the Dan Dan Mian, a non-traditional version, of course, but one that’s deliciously addictive, drenched in creamy sesame sauce, pork mince, and fragrant chili oil. Spicy pigs ears, fish in a light sweet and sour sauce of spices, basil, and pomegranate juice, and satisfying pork and squid dumplings round out the rest of the meal. Now open is the highly lauded Maison Lameloise at the Shanghai Center. 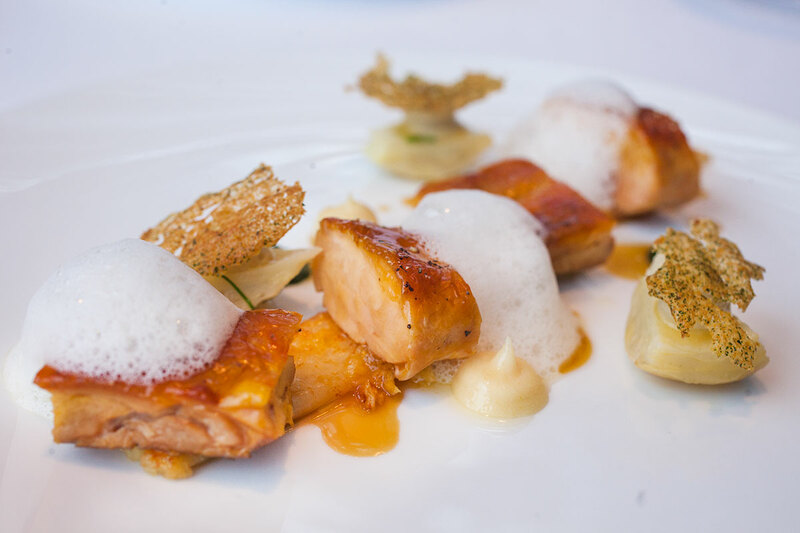 It’s the only other location of the Michelin three-star French institution, and it does live up to the hype. Read about the lunch experience here. 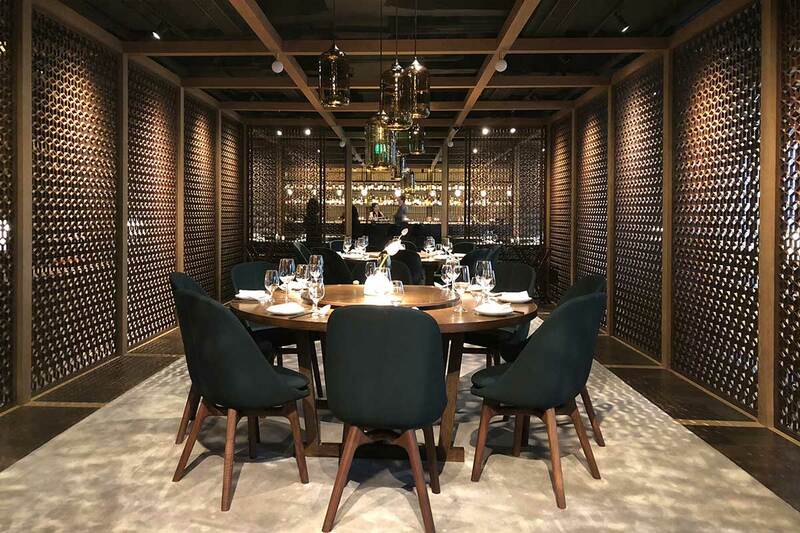 FOGO (139 Nanjing Dong Lu) is the latest opening on (near) the Bund, located within the same building as Light & Salt Backstage and Jazz at the Lincoln Center. 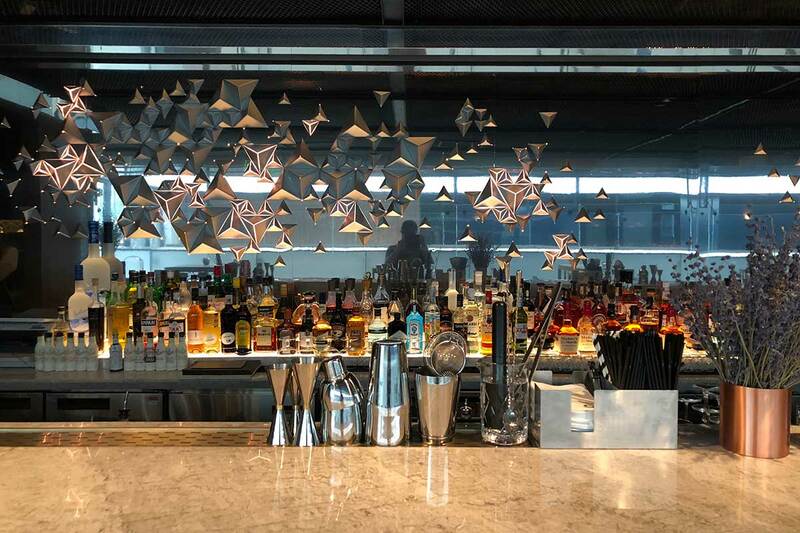 The most impressive aspect about FOGO is the space—a long bar at the entrance, booth seating, a main dining/lounge area, and multiple levels of sprawling terraces. The food is Mediterranean, with bar bites from tacos to tartare, and share-friendly entrees like kilo-steaks. 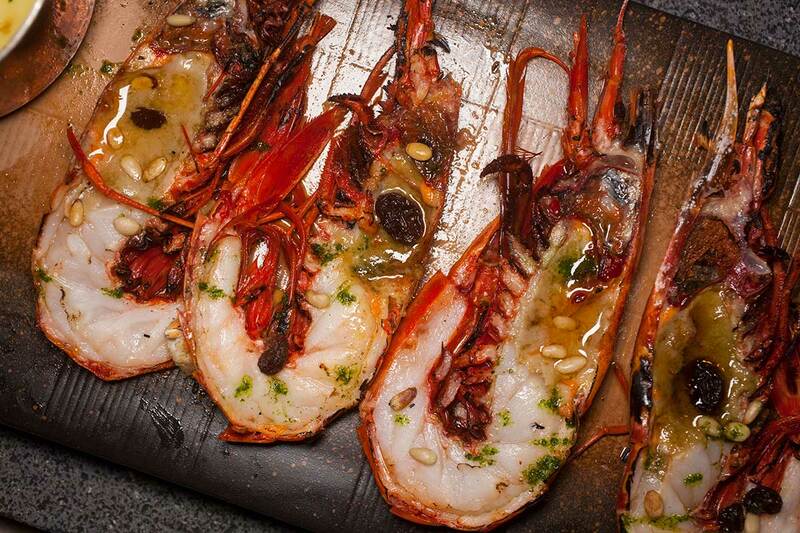 A few pleasant surprises like the molecular olive appetizer and the unforgettable carabinero (pictured above). Solid cocktails. It’s run by the guys who opened M1NT. Headliner DJs and themed parties in the works. 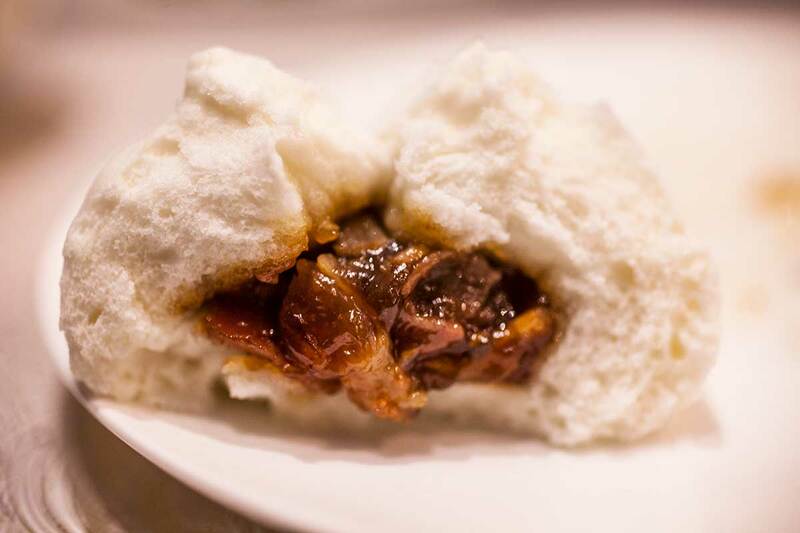 Memorable from Canton 8: Char Siu Bao. On a side note, world’s cheapest Michelin two-star Canton 8 has a second outpost in the same building. What? When did that happen? Based on the reviews on Dianping, it looks like it opened in November 2017. It looks a tad fancier than the one on Ru’an Lu, and ratings for food and service on Dianping are high. Also open is izakaya/bar Comma on Xinle Lu and high quality omakase Hulu Sushi at Columbia Circle. Mountain rice with rabbit, sausage, and broad beans. On the new brunch menu at Tomatito; ¥128 for four dishes. Ferran Andreu has just left Tomatito and will be going to Mercado 505 (505 Wulumuqi Bei Lu). It’s a market-to-table part-grocer, part-restaurant from the makers of Mercado de Waima at The Cool Docks. Red Cactus (753 Yuyuan Lu) is a new Belgian beer bar serving seven drafts on tap—Duvel, La Chouffe, Straffe Hendrik, Delirium, Vedett, etc. Oh, and for those in the neighborhood, Fuchun Xiaolongbao (650 Yuyuan Lu) has reopened after months of reno work. 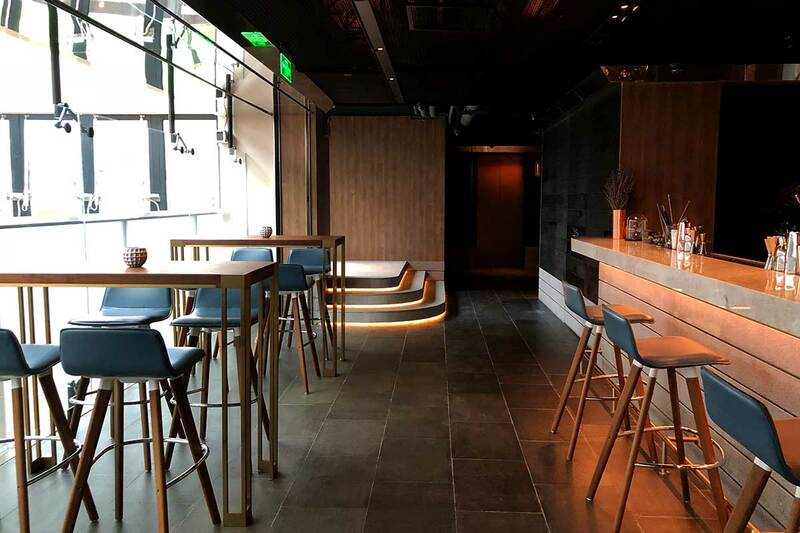 The group behind Tokyo’s praiseworthy Bar Trench, Bar TRIAD and Bar Tram / Coffee Tram has expanded to Shanghai with Ars & Delecto (222 Jinxian Lu). Currently serving cocktails, the venue will soon have food offerings. On Donghu Lu is beer pong bar Caza (3/F, 7 Donghu Lu), taking over the space formerly housing that one teppanyaki restaurant. Not that they have a fighting chance, but Canadian franchise Tim Hortons just announced plans to open 1,500 branches in China over the next 10 years. 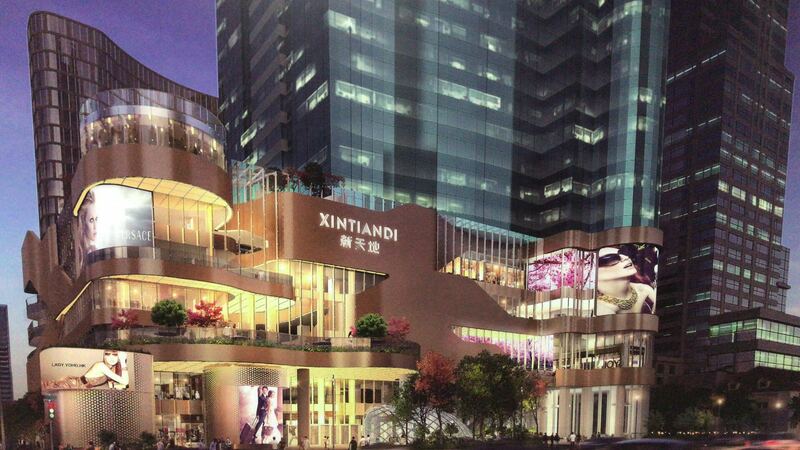 Shanghai gets another mall. 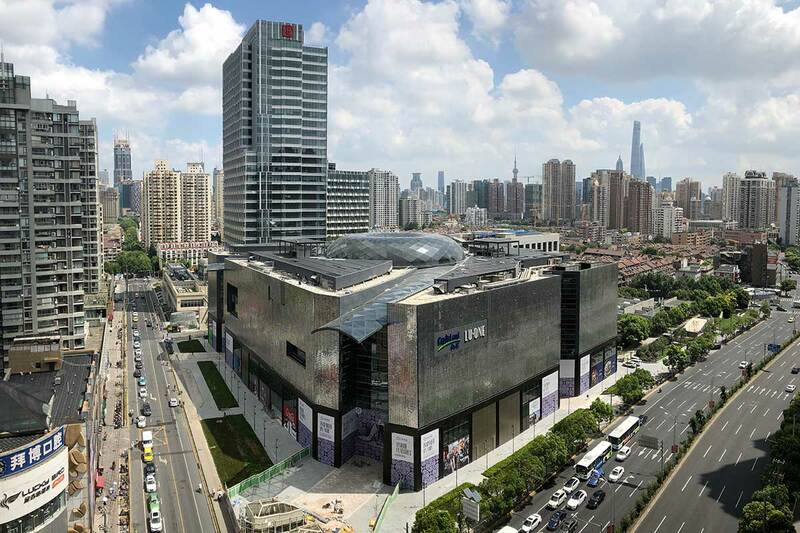 LuOne, located at the intersection of Zhaojiabang and Mengzi Lu, is one of the newest commercial projects by CapitaLand, set to open September 22. They announced that 30% of space will be dedicated to F&B. From the group behind The Nest comes The Nestling, opening on December 1. 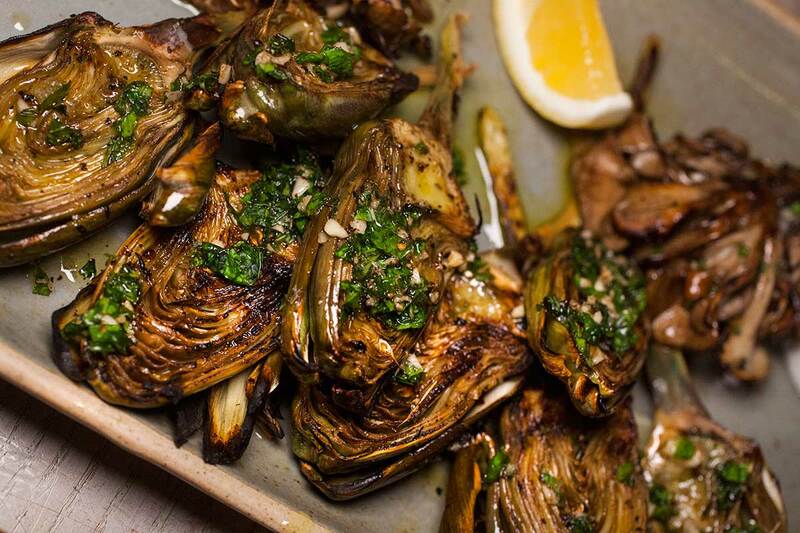 Artichokes on the new menu at The Nest. The Nestling will be part Nordic/French café with a bakery for all-day service on the 6th floor, a lounge with small bites and oysters on the 7th floor, and a barbecue and bar on the rooftop. 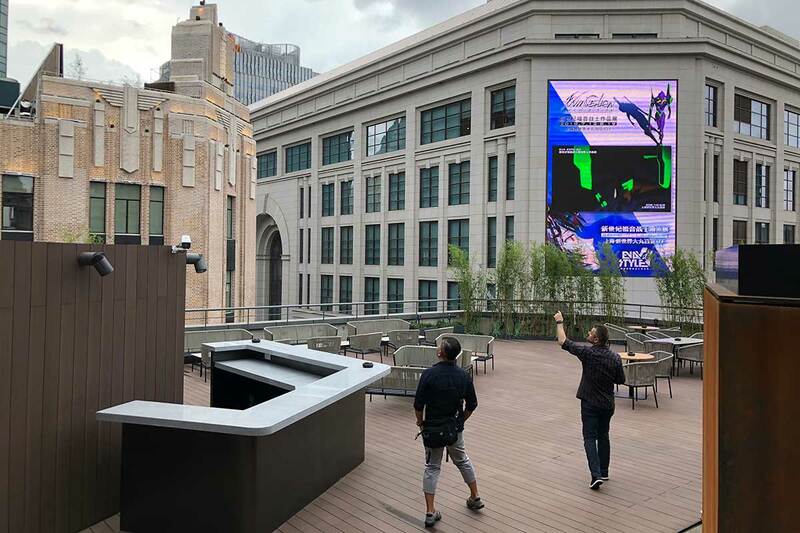 The Nest is also expanding to Chengdu and is in the process of securing their location. Pierogi Ladies is making a comeback, opening at the end of August/early September on Jiaozhou Lu. They’ll be serving a new menu and more drink options (infused/flavored vodka), and coffee (partnered with Goppion Coffee). Little Catch will be opening early September on Yanping Lu. Geo Valdivieso (Global Brand Ambassador for Camus, ex-partner of The Captain, and formerly of UNICO) and Victor Doukov (formerly of Revolucion Cocktail) are teaming up to open a nightclub/bar called “UP”. UP is due to open in September/October, located on second floor of 688 Shaanxi Bei Lu, the same building as Pie Society Canteen and Urban Diner. We hear it’ll have all the theatrics to entertain the nighttime crowd, a long, spacious bar, and a terrace. Consulting on the food is Carlos Sotomayor (formerly EKEKO/el Efante). The highly anticipated EDITION Shanghai (199 Nanjing Dong Lu) is now open. 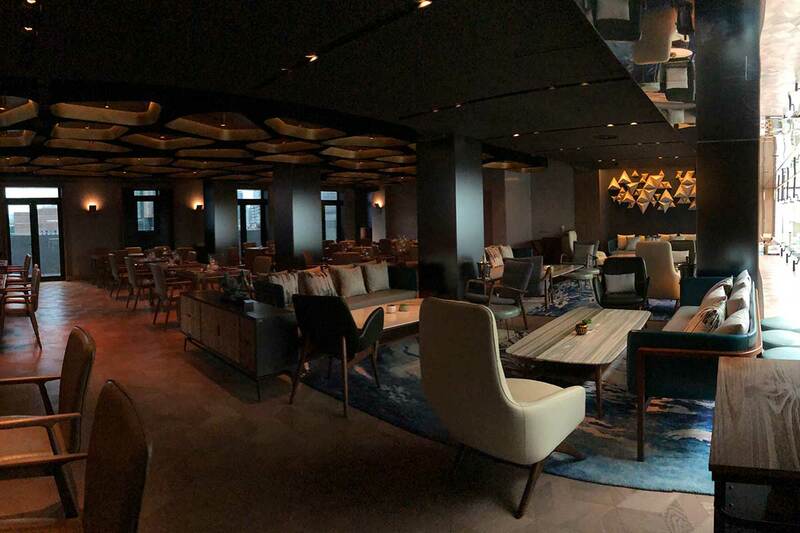 The hotel has nine F&B outlets, three of which are restaurants, while the other six are either bars or nightclubs, all overseen by EDITION Executive Chef Scott Melvin, formerly of The Commune Social. Hand-rolls (not the official name) at HIYA. Uber yummy. 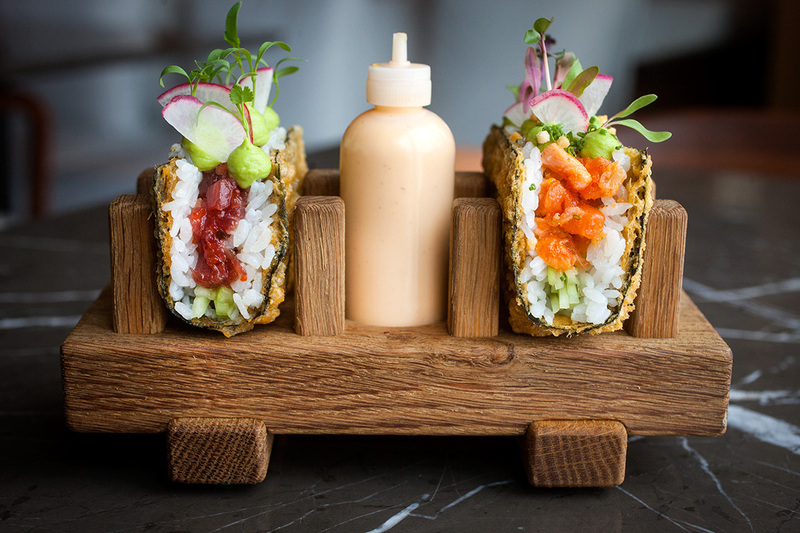 HIYA is a Japanese izakaya-inspired restaurant led by Chef de Cuisine Christopher Pitts, formerly of Table No. 1. 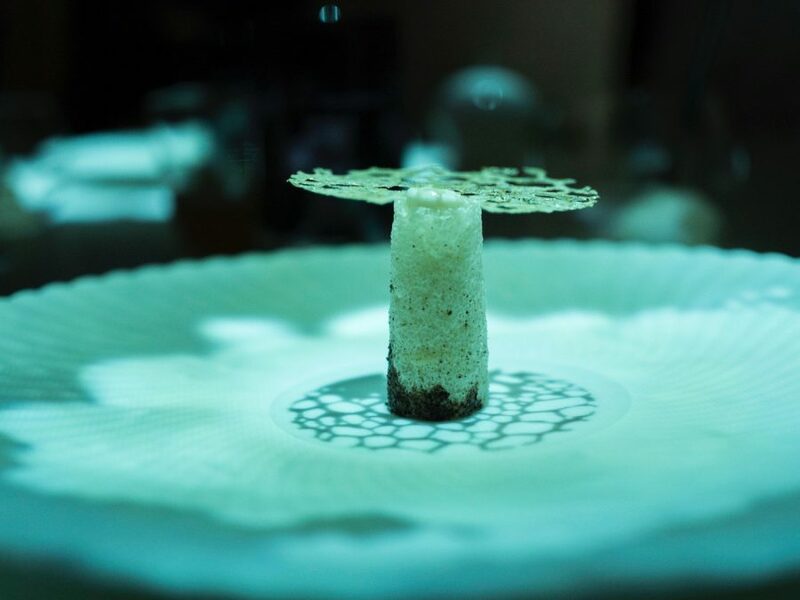 It’s modeled after Jason Atherton’s London restaurant, Sosharu. 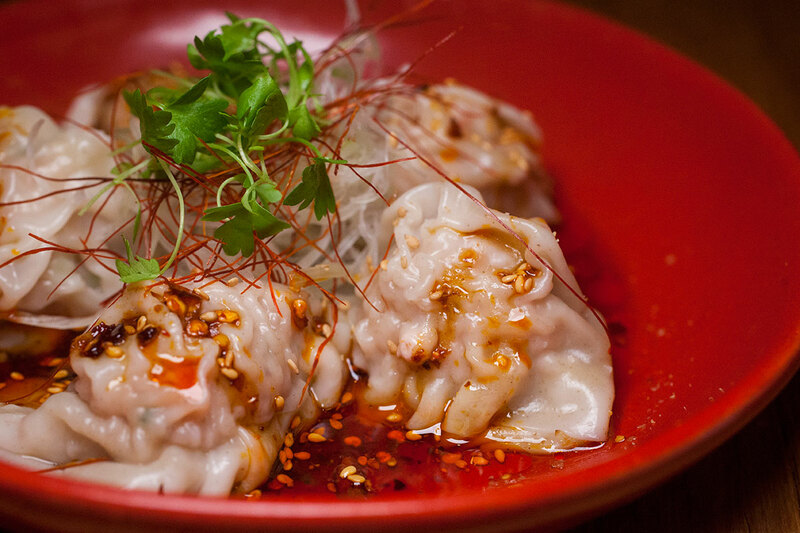 Then there’s Shanghai Tavern, Jason Atherton’s all-day dining, brasserie-style restaurant. 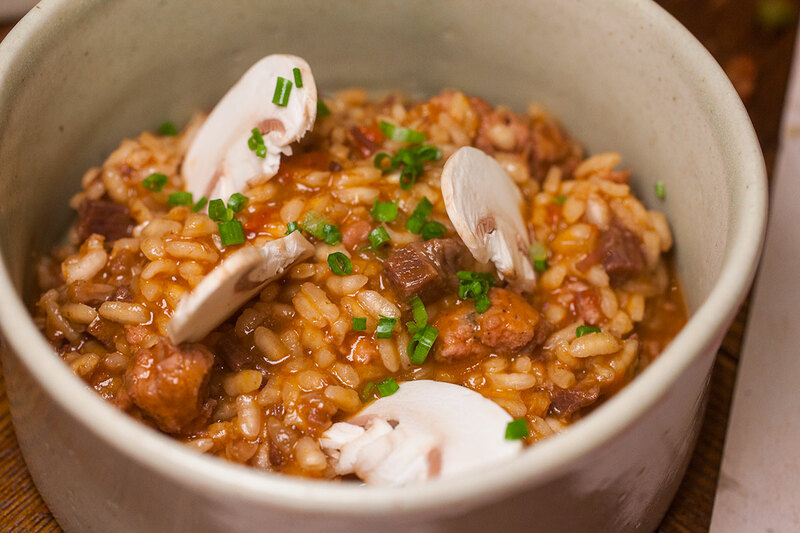 It’s led by Chef de Cuisine Rossi Wei Wei, formerly Head Chef at The Commune Social. For nightclubs and bars, it’s Electric Circus, Club Room, Roof Garden, Roof, Punch Room, and the Lobby Bar. 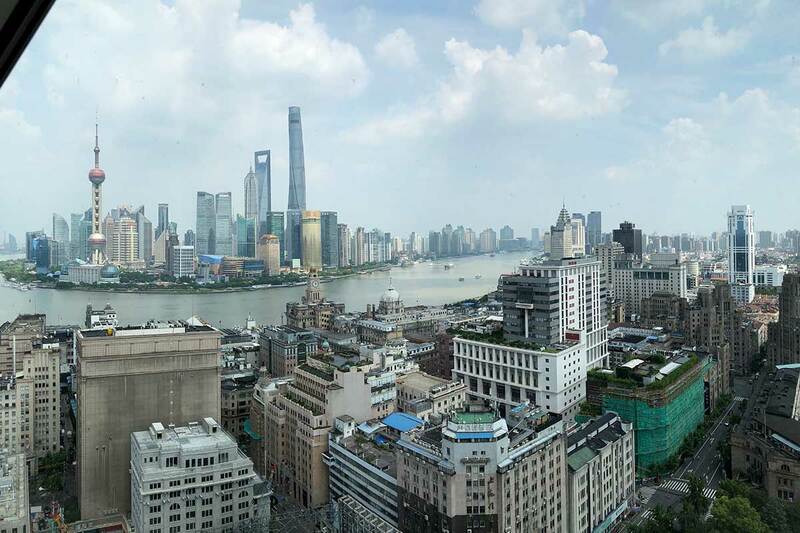 Rumor: Rosewood is shopping for a location in Shanghai. Founded in Texas, Rosewood is a luxury hotel and resort group owned by Hong Kong-based New World Development. They currently have a property in Beijing and in Sanya. 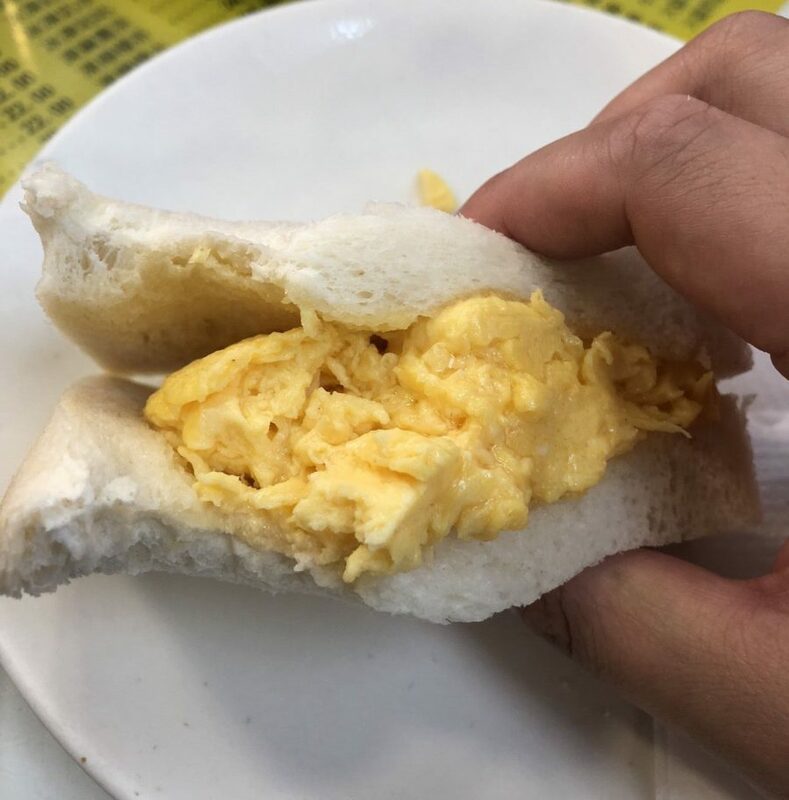 Spread The Bagel on Nanchang Lu has closed temporarily—the street is going through some much needed clean up and renovation. 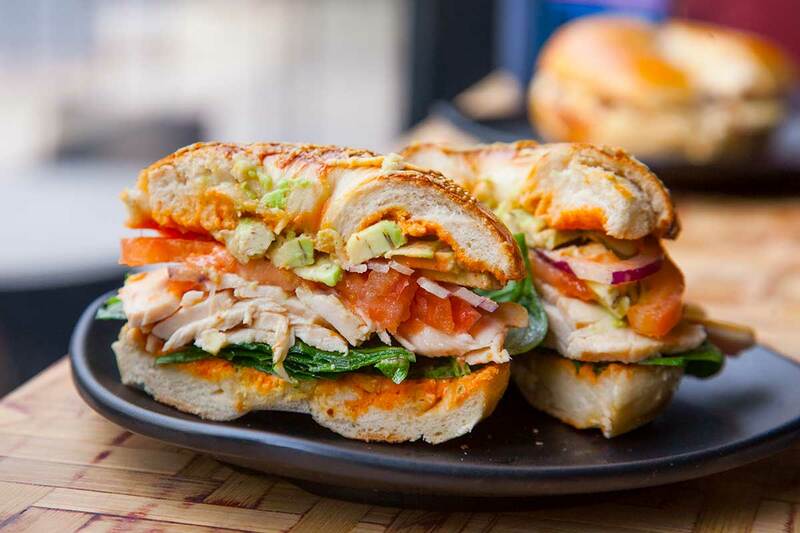 But STB bagelwiches are still available at Al’s Diner at 174 Xiangyang Nan Lu. Gucci 1921 (subpar fashion branded pricey mall restaurant) and Mr Pots (affordable dim sum) have closed. That’s all for last month’s recap! Stay tuned for the next F&B news column.